That’s my motto on St. Patty’s Day, anyway. Even though green is my favorite color, I’m not so much into the holiday itself. We Jewish folk have plenty of our own drinking holidays; there’s no need to piggyback off others’. One of our biggest, Purim, was just a couple of days ago. 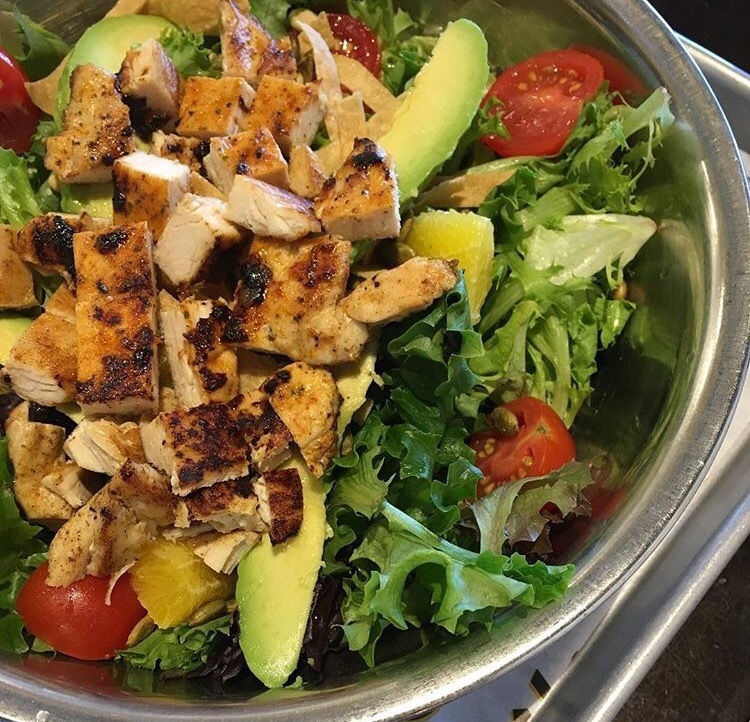 Available topped with grilled or fried chicken (those fried tenders are hard to turn down, y’all), this salad has avocado, pepitas and orange segments for pops of spice and flavor. I recommend getting their honey mustard on the side, too. And some custard for dessert, obvi. 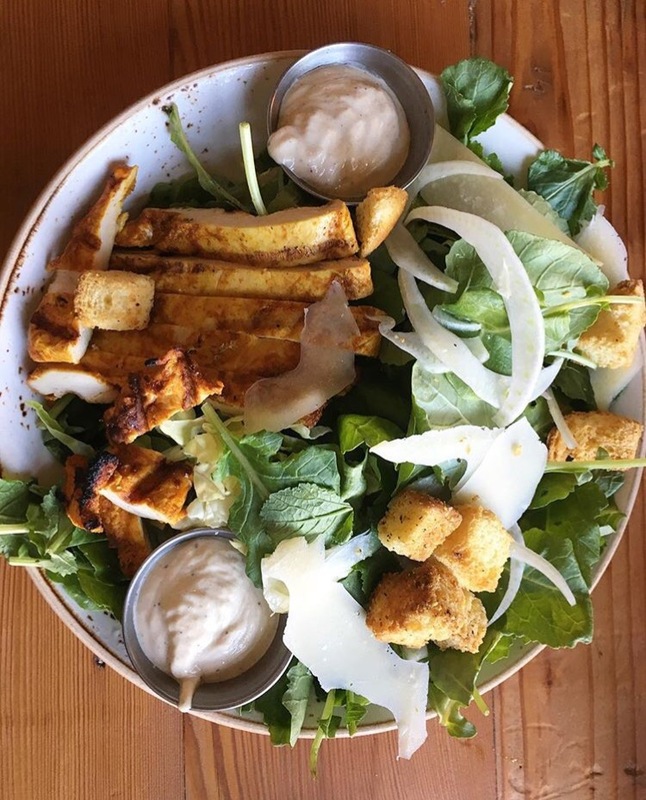 This Caesar is unique due to its dressing (a uniquely addictive Caesar), cheese (delicious Grana Padano) and protein topper (curry-seasoned grilled chicken). I order this big bowl of greens so I can feel a bit better about stealing some of my kids’ mac and cheese because damn. This one is a classic, and the only “make your own” salad I’m including on this list. 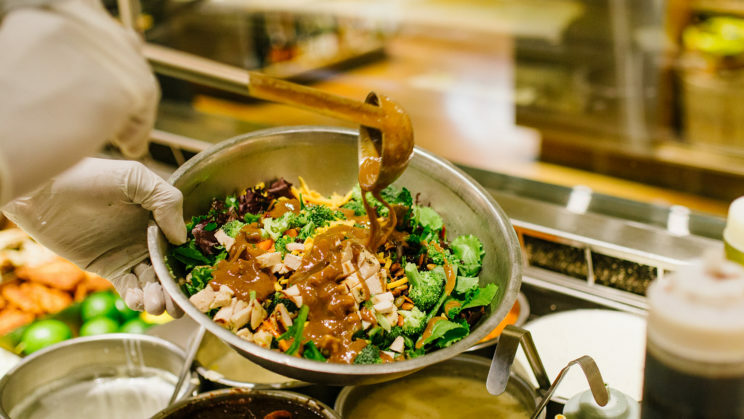 I could include Salata or Crisp Salad Co. (both solid salad choices), but honestly I like Eatzi’s salad bar even more. Here’s a pro tip for folks who have trouble creating their own salad. Start with the dressing that strikes your fancy and work backwards, coordinating the salad fixins that belong in a salad that ends up with that dressing. Make sense? Voila! 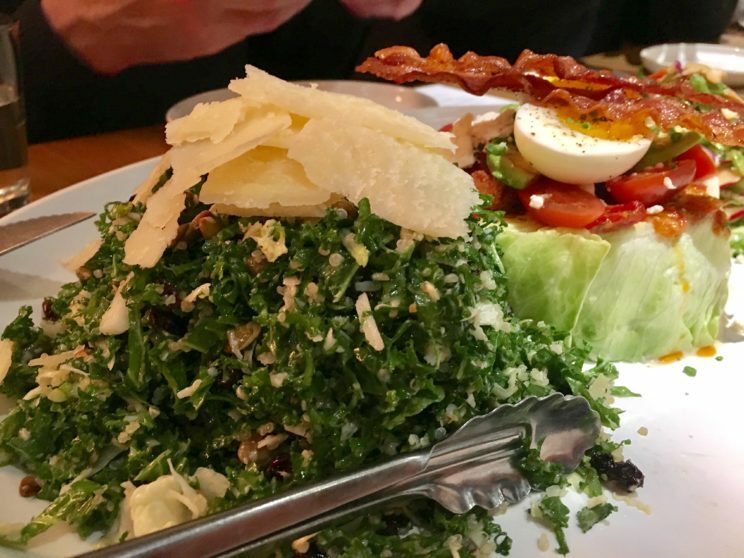 The second kale Caesar on this list! I know. But this one is a doozie. So, so good. Chopped so you get the perfect ratio of dressing to lettuce in every bite. When we tried it at our media tasting last week, a friend even ordered up an extra to take to work the next day. 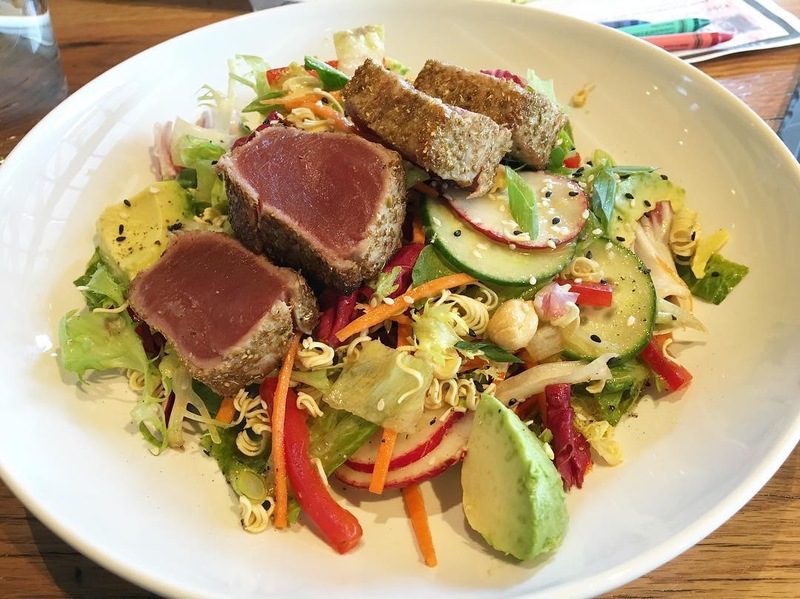 Oh, and the Seared Ginger Tuna Salad there is fabulous as well. Pie Tap is winning folks over all over town from pizzas to salads to cocktails to brunch. 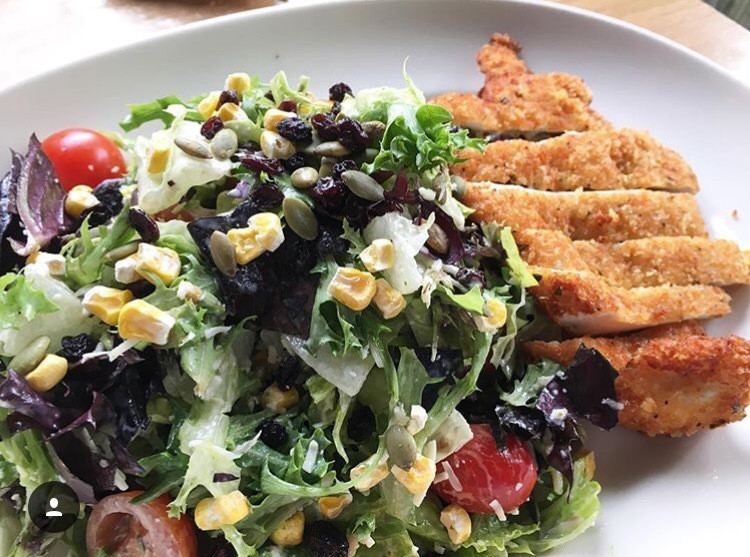 This salad has the goods: a creamy buttermilk dressing, corn, tomatoes and a big crispy milanese-style chicken breast. Dinner is served. 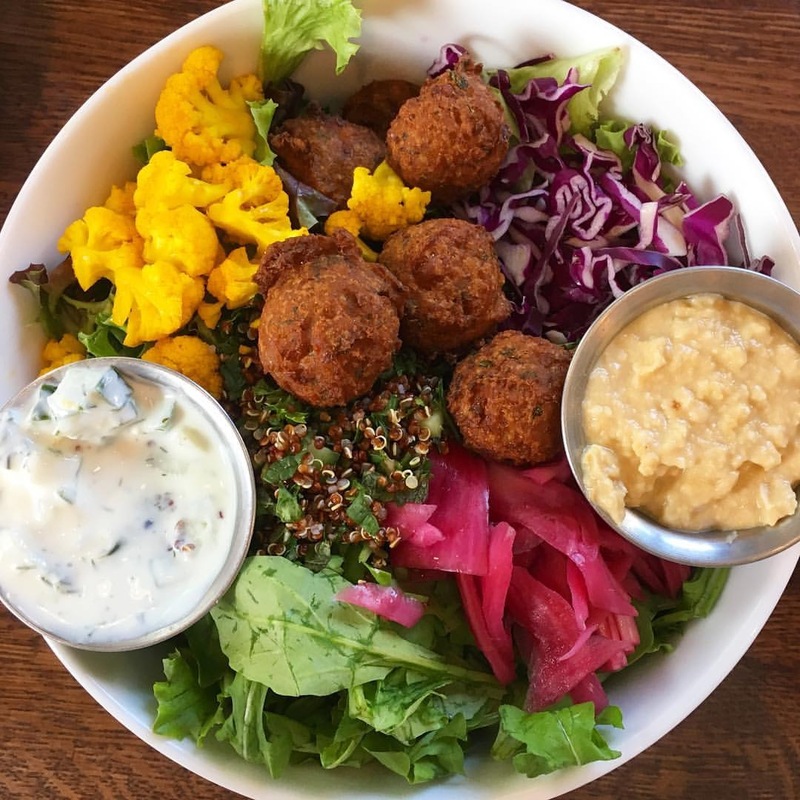 The Traveler is a limited time salad, but actually you can turn any of Unleavened’s wraps into salads and get the goodness in a big, beautiful bowl like this. I’m particularly fond of anything with pickles or pickled onions, as you can see. And definitely check the specials board to see what’s up when you’re in. Also, pssst: Kids eat free for dinner. Every. Day. This salad is one of those big, healthy salads you could turn into two meals if you wanted to. I usually don’t but you know, you could. Asian dressing tossed with all the good stuff: crunchy ramen noodles, edamame, avocado, carrots, peppers, and seared sesame-coated tuna. Greatness. 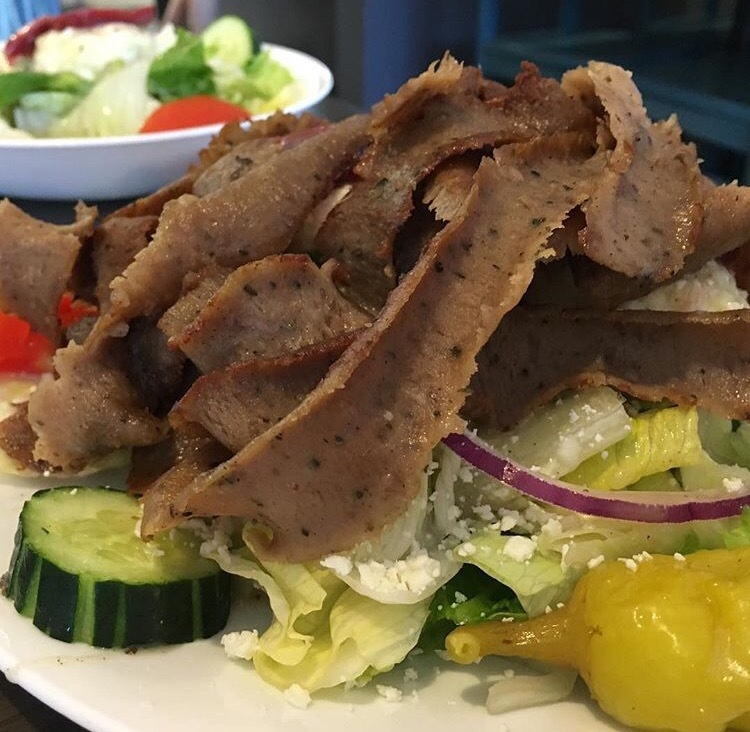 The Greek salad at Little Greek is LOADED. I mean, really. tomatoes, pepperoncini, cucumbers, feta, beets, potato salad (trust me, it’s a good addition) and olives. The addition of Greek lamb and beef from the spit just takes it over the top. Ziziki’s makes a killer version of this too, with a mint dressing I would knock over someone’s poor old Greek granny for. 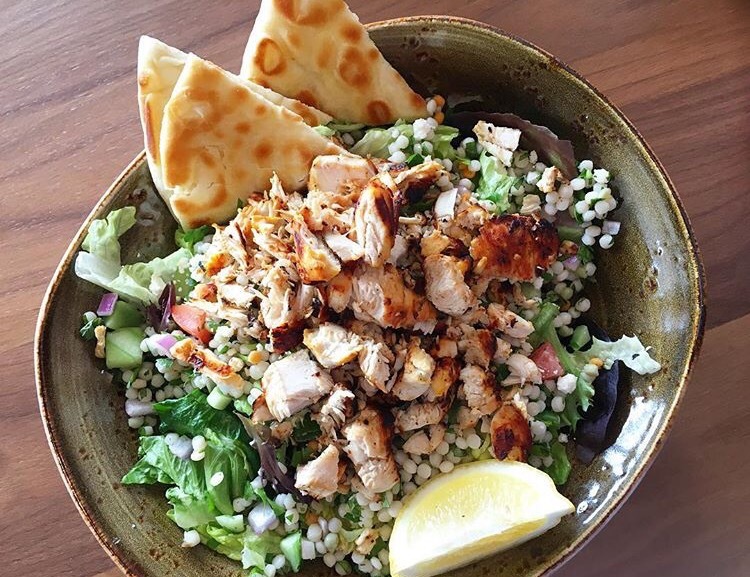 Lemony, minty cous cous gives this Mediterranean salad just the right balance of carbs-to-greens-to-protein ratio. It’s pretty much perfect. 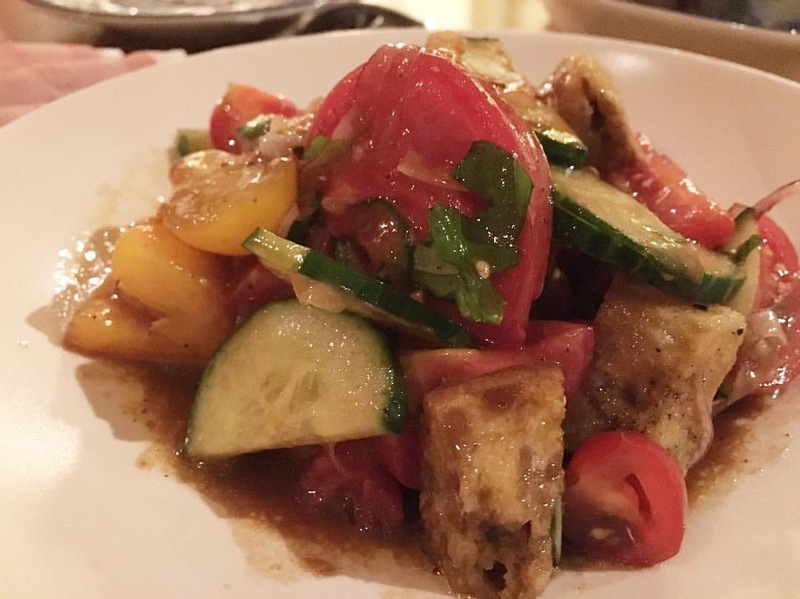 Do you have a favorite salad I have overlooked? Please do share! I hate a #disappointingsalad but I love to discover new greatness. Let’s hear it in the comments! 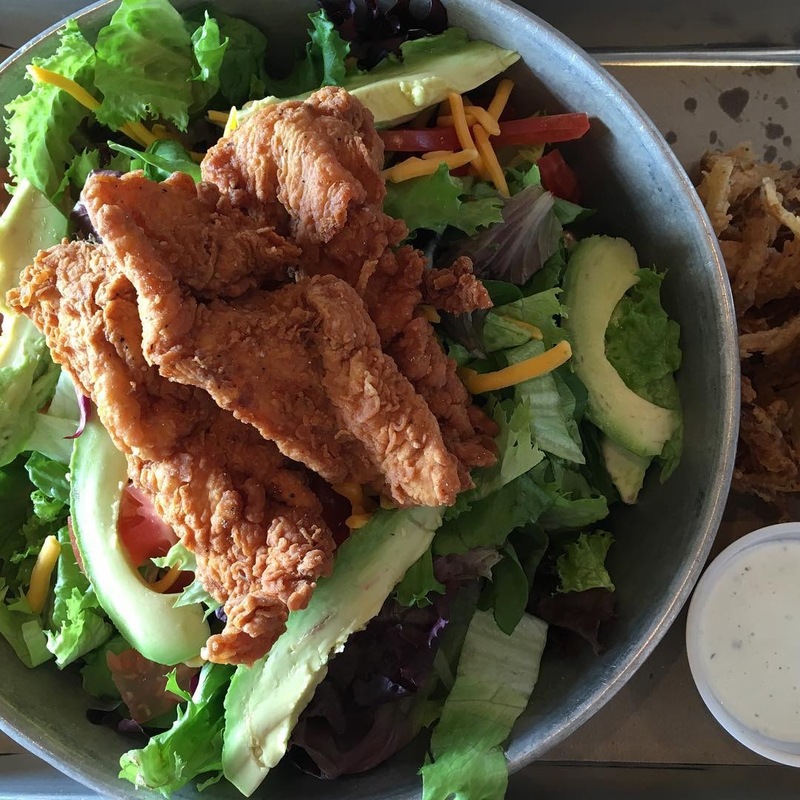 Silver bowl salad at State & Allen! Also the Newporter salad at R+D kitchen!